At Port of Wisbech we offer excellent port facilities and a vast range of flexible services designed to provide you with what you want, when you want it. 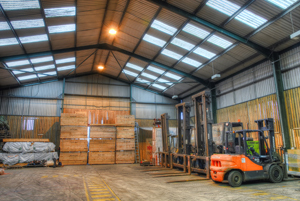 At The Port of Wisbech our experienced, friendly team provides a full port facilities service. Operating to the very highest standards and with expert tidal knowledge, our main aim is to make the whole shipping experience as simple and stress free as possible. From the moment a vessel and its precious cargo arrives (berths) with us it is carefully monitored with our round-the-clock surveillance system and comes under the watchful eye of our security team. Unlike some of our competitors, we recognise that terminal operations do not always happen between the hours of 9am to 5pm so our flexible working approach means we will do our very best to accommodate your schedule, wherever possible. Call us today on 01945 587070 to find out how we can help. The Port of Wisbech really does take care of everything when it comes to transporting your cargo from A to B. You can either supply the vehicles to transport your goods from the port or we can arrange all of this for you, providing a complete service from one destination to another. Our knowledgeable, dedicated team can arrange haulage services for you to ensure your consignment gets to where it needs to be quickly, easily and competitively. We’ll also give advice on the quickest routes from The Port of Wisbech to your delivery address and with excellent access to major road networks we’ll soon have your consignment delivered at a price that won’t break the bank – no worries, no fuss, just a first class service. To find out more about our competitive haulage service rates call 01945 587070. 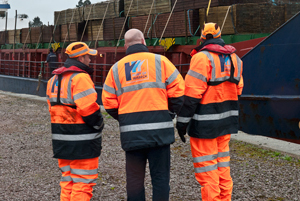 The Port of Wisbech may be a smaller operation than some of its competitors but there is no shortage of expert help to call upon when need arises. The international ship and port facility has access to an experienced team of workers who can be called in to help discharge boats and carry out other crucial tasks during busy periods. Whatever your requirements we can supply an expert team to get the job done quickly and efficiently. Call us today on 01945 587070 to discuss your requirements. Loading and unloading ships safely and quickly requires skill and experience and at The Port of Wisbech we have no shortage of either. As a stevedoring company, and unlike many of our competitors, we take care of everything for you. We may only be a small port facility, but we really do have it all. 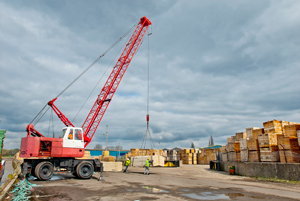 We don’t just discharge the boats, we supply the equipment needed to load and unload your cargo through to the experienced crane drivers and other port workers who know just how to handle and take care of it. Our many years of experience dock-side mean we are able to offer a truly personal, individual service with minimal waiting times, providing a fast, efficient turnaround on your shipments. With one point of contact and one friendly, expert team to deal with, you can save time and money working with the The Port of Wisbech Ltd. 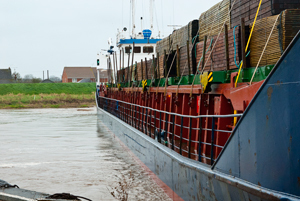 Here at The Port of Wisbech we specialise in break bulk cargo or non-containerised cargos. Our compact size, excellent port facilities and close proximity to major road networks means that we are ideally suited to most importing / exporting needs. 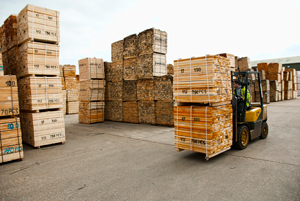 From bricks and bulk steel through to timber, we work with a range of customers to help them get their deliveries to where they need to be on time, every time. Call us today on 01945 587070 for more details. The Port of Wisbech Ltd runs a fortnightly service from Riga in Latvia to Wisbech, providing brilliant export and import opportunities to and from the Baltic region. 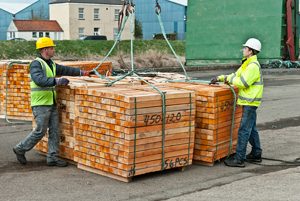 Cargo transported are mainly timber products, although anything is considered. We are always looking for new customers and cargo! To find out more call 01945 587070 today.